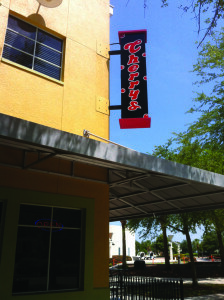 Since 1994 Cherry’s Bar & Grill has been pleasing the appetites of Tampa Bay residents and tourists. Whether it’s lunch, dinner or late night, we want your experience to be great. If your visit to Cherry’s wasn’t excellent please let us know and if it was, please let a friend know. For further information on upcoming events and special offers please visit “Where to find Cherry’s” for happenings at a Cherry’s Bar & Grill near you. With enough said, sit back, relax and EAT, DRINK, and be CHERRY!! !